Denise advises her clients on a variety of financial matters retirement planning, estate planning, investment planning, employee benefits and risk management. She strives to develop strategies for individuals, families and businesses to reach financial security as efficiently and effectively as possible. Denise has held the designation of Certified Financial Planner since 1999. She is a Registered Representative and Investment Advisor Representative for Royal Alliance. Denise heads the McDonough Office of Cap1tol Street Financial Services Group, LLC, where she currently serves over 400 clients specializing in Financial Planning with an emphasis on Retirement and Investment Planning..
Denise and her husband, Gary, reside in McDonough, where she is active in her community. She founded the Southern Crescent Chapter of the American Business Women’s Association, and is a member of the Henry County Rotary Club. 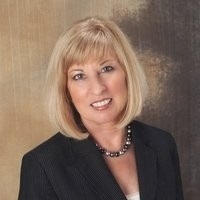 Denise serves on the Board of the Henry County Chamber of Commerce as the Chair of the Cultural Development Committee. Securities licensed in the states of: Alabama, Georgia, Louisiana, South Carolina, Texas, Michigan.